The China-Pakistan Economic Corridor (CPEC), a multi-billion dollar infrastructure and development-related project, has generated euphoria in Pakistan, but in Gilgit-Baltistan, a disputed region, local residents have environmental, demographic and sectarian concerns. According to a report published by Germany's Deutsche Welle broadcasting web site, local activists fear these projects would not only trigger an ecological disaster, a demographic shift and encourage land grabbing, but also threaten their unique culture. "The Chinese are known for implementing development projects without caring much about environmental issues," Farman Ali, a political activist from Upper Hunza in Gilgit-Baltistan, told DW. "Over 70,000 trucks will pass through this region daily, emitting a large amount of carbon. The government will also lay railway tracks in this mountainous area by building a number of tunnels. This will likely cause landslides and disturb the region's ecological balance," Ali said. Islamabad claims the project would create employment opportunities for some 1.8 million people in Gilgit-Baltistan. The locals, however, are not ready to buy this claim. Despite having one of the highest literacy rates in Pakistan, youth in Gilgit-Baltistan are desperately looking for jobs. Amir Hussain, a political analyst from the Lower Hunza part of the region, spurns the federal government's employment assurance. Hussain questioned, "The Chinese bring their own manpower wherever they go. 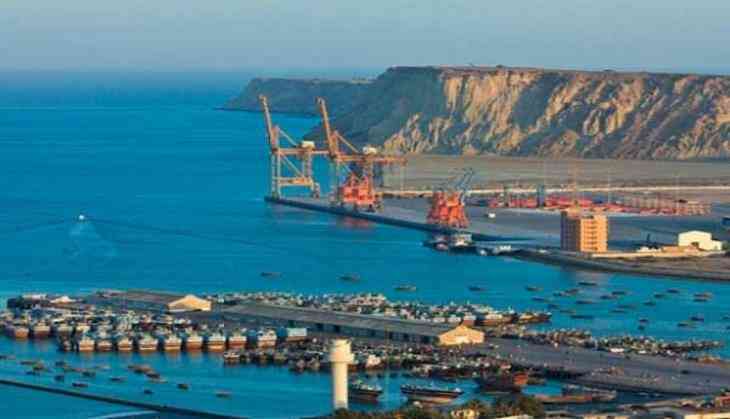 For CPEC, they are likely to bring seven million Chinese workers to Pakistan. Around 400,000 of them will be working in Gilgit-Baltistan. How will the locals get jobs?" "Forget about the jobs; the locals are actually losing their livelihood because of this project. Small manufacturers and shop owners are suffering as a result of the Chinese goods flooding the market. The government has also cancelled the licenses for local miners. Mining in the areas is being handed over to the Chinese," Hussain told DW. Land is a precious commodity in this mountainous terrain and the local population fears the CPEC-related projects would swallow their lands. Hussain says the government has allocated around 500 acres of land for a special economic zone in the Maqpoon Das area. "These lands have been taken over in the name of CPEC projects. In addition, the army is planning to build checkpoints to provide security to CPEC projects. Fort that reason, they are planning to relocate people from Hunza and Nagar districts, which are located close to the Chinese border," Hussain claimed. "CPEC has become a holy cow in Pakistan. The locals are not allowed to protest against CPEC projects. Those who do so are booked under anti-terrorism laws and dubbed anti-state elements," the analyst added. Government officials dismiss these allegations and insist there is a consensus in Gilgit-Baltistan over the CPEC. Faizullah Faraq, spokesman for the Gilgit-Baltistan local government, says all stakeholders have welcomed the massive development in the area. The DW also reports that CPEC causes migration from Khyber Pakhtunkhwa and Punjab into Gilgit-Baltistan and will result in sectarian conflict. The region witnessed massive sectarian riots in the 1980s under General Zia-ul-Haq's regime. "Most of the hotels, shops, markets and businesses are already owned by non-locals from Khyber Pakhtunkhwa or Punjab. Now CPEC projects will attract more migrants. This will ultimately turn the locals into a minority," Sher Babu, a political worker in Gilgit-Baltistan, told DW. Some Gilgit-Baltistan residents believe that Sunni militant groups have already gained a foothold in the area. "These jihadists are gaining strength and Gilgit-Baltistan could once again become a center of sectarian conflict," a Skardu resident told DW on condition of anonymity.